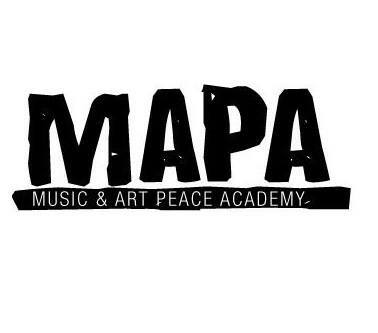 MAPA aims to provide young artists, musicians and producers from around the world with experiences and resources to further explore and develop their creative talents. In partnership with the international NGO Peace Boat which travels the world by ship to promote peace education and sustainability–MAPA invites aspiring young creators to participate in global voyages onboard the ship to engage in workshops, lectures and hands on learning opportunities alongside professional artists. The MAPA project invites individuals, organizations, musicians, artists, activists, DJs, photographers, designers, writers, actors, videographers and promoters who are interested in social and environmental issues to work together to promote a culture of peace through music and art and join the Peace Boat global voyage for the Music & Art Peace Academy onboard. Peace Boat is an International NGO and non-profit organization that works to promote peace, human rights, equal and sustainable development and respect for the environment. Peace Boat seeks to create awareness and action based on effecting positive social and political change in the world. Supporting: "Noche de Cuatro Cuentos"